Clairvoyant is a gifted person who has a strange power of high intuition, overly active senses and who can see the future clearly from a paranormal point of view. They are described as psychics that see the future events of a person, place, event or object by some people. The term clairvoyance was originally from the use of two French words that translate to ‘clear vision.’ It does not necessarily mean that a person who is a clairvoyant literally observes something of the physical form. It can be seen through the mind’s eye or be shown through visuals and hallucinations. Clairvoyants have the ability to obtain information through any of the five human senses known as touch, smell, hearing, sight and taste. Clairvoyants can obtain information on people, places, events and objects whether they are in the past, present or future. They have extremely clear pictures of the event that has occurred, is occurring or will occur in the future and can describe it to others using visual aids or speech. Every clairvoyant is different from the next but their supernatural abilities stem from their uncanny foresight. 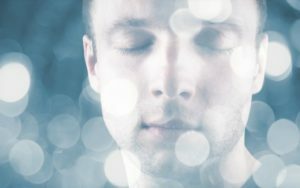 Some clairvoyants may feel like they are in a whole other destination for a split moment or feel physical elements like sickness. Some may even see a whole set of events purely by touching another’s hand or personal object. Clairvoyants have stated that they hear the voices of those passed on and that they are given messages to pass on to the living. Smells and odors from certain periods of time or events may be detected and some clairvoyants have heard sounds and noises within their minds. While it may seem intense, it is not always as dramatic as it might sound. Some clairvoyants claim they are also mediums and communicate with spirits from the afterlife. They state that they can pass messages onto those loved ones still living and uncover secrets that may need to be solved. Many people don’t believe in the powers of the clairvoyant and think it is all a money making scam. This is entirely untrue and there have been numerous cases where a clairvoyant has been used by government officials to solve major murder mysteries and unsolved crimes. 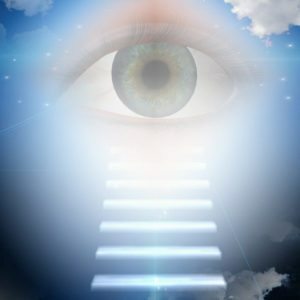 When you get a reading from a legitimate clairvoyant, they will provide you with some truth and evidence of their abilities from the very beginning. This could be a direct name of someone you love that has passed on. Or, they may even feel pain in specific parts of the body, like if your loved one was killed by stomach cancer or a car accident. They should offer you proof so that you can believe the readings they are offering you. How Can a Clairvoyant Benefit Me? A clairvoyant and their services can be an excellent solution if you are seeking closure. Once you have gone over past events, current ones and the events that are coming your way, you can make the necessary decisions to make your life path a happier one. You can feel comfort in knowing that those that have passed on are living in the afterlife and that life does not end here. You can tend to current dilemmas that may have kept you stuck and finally close the door on confusion and loss. A clairvoyant can help guide you in the right direction and lead you to a level of inner peace you haven’t experienced yet. Previous Do You Have A Clairvoyant Child?